• Open and active local checking account with preprinted checks. • Most recent payroll stub or proof of income. • Valid drivers license or state issued ID. • Most recent copy of existing bank statement. All advances are paid to you in cash or by Electronic Funds Transfer (EFT). DO NOTHING. We will cash your check on your due date. Pick up your check by paying off your loan with cash. 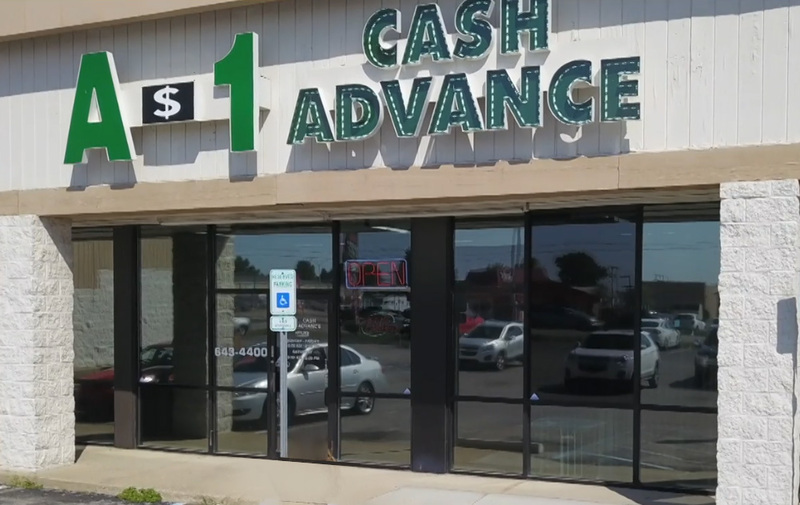 A cash advance also known as a payday loan or payday advance is a small, short-term loan ranging from $50 to $605 offered by a payday lender, such as A-1 Cash Advance. A payday loan is typically used as a cash advance until your next payday. See the comparison based on a 14-day loan term. A payday advance fills a need not met by most banks or other financial institutions. And getting a pay day loan or payday advance from A-1 Cash Advance is easy; and there is no lengthy waiting period. All you need is a photo ID, a current bank statement and proof of income. A-1 Cash Advance will take care of the rest. • Simply write a personal check for the amount of cash you want, plus the advance fee. 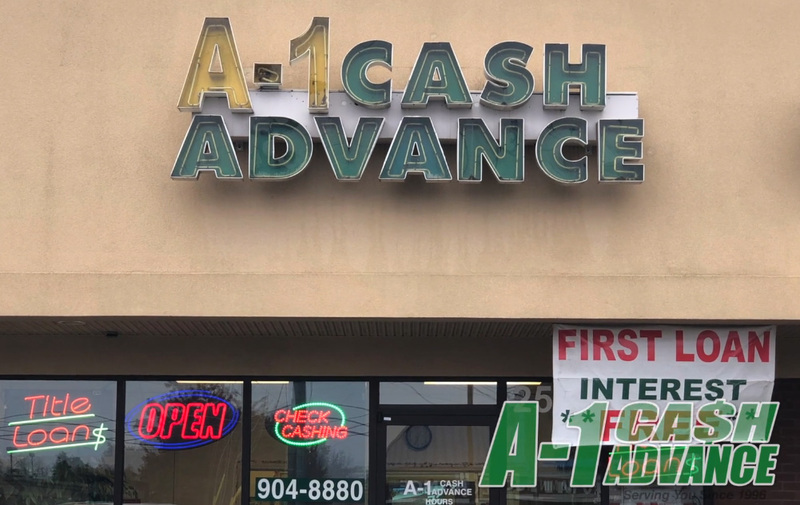 • A-1 Cash Advance will hold that check until your next payday. • At that time, come in and pay off the payday advance in person or A-1 Cash Advance will send your check to the bank for deposit. • Simply fill out our short online application located on the home page. • Funds will be deposited into your account the next business day. • Your payment will be debited electronically (ACH) from your active checking account on the date your payment is due. Payday loan myths – No nonsense answers and information about pay loans. • Payday loans trap borrowers in a never-ending “cycle of debt”. This is simply not true and nothing could be further than the truth. Researchers and state regulators consistently report that 70-80% of customers use payday loan advances between once a year and about once a month. Payday loans can be helpful for unexpected emergency costs. Payday Loans are an important service that millions of people use, especially in time of economic hardship. • Payday lenders take advantage of poor people and minorities. Actually, payday advance customers represent the heart of America’s middle class. They are typical hard working adults who may not have savings or disposable income to use as a safety net when unexpected expenses occur. • One hundred percent have steady incomes and active checking accounts, both of which are required to receive a payday advance. *Source: The Credit Research Center, McDonough School of Business, Georgetown University, Gregory Elliehausen and Edward C. Lawrence. Payday Advance Credit in America: An Analysis of Customer Demand. • Payday lenders loan money to people who cannot afford to pay it back. More than 90 percent of affordable payday loans are repaid when due, a fact confirmed by numerous state regulatory reports. It simply would not make good business sense to loan money to people who can’t pay you back. • Payday lenders hide fees and mislead consumers. The cost of a payday advance is fully disclosed to customers on signs in the stores and in disclosure agreements. 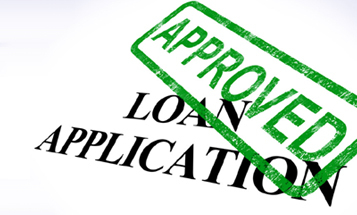 Moreover, in accordance with the Truth in Lending Act (TILA), the terms of the loan are clearly outlined in the lending agreement. Payday advances involve single, flat fees and there are no hidden charges. • Payday Loans are extremely expensive and have exhorbitant interest rates. Payday loans are two-week loans — not annual loans! Industry critics quote the “390% annual percentage rate” to misrepresent the truth and to help make their case. The typical fee charged by payday lenders is $15 per $100 borrowed, or a simple 15 percent for a two-week duration. So, how does a $100 payday loan compare? • Anti-payday lending activists have consumers’ best interest in mind. The reality is that anti-payday lending activists do not represent the views of millions of people who use payday advances responsibly and are glad to have somewhere to turn when they need quick access to credit. • Consumers win if payday lenders are regulated out of business. So-called consumer groups and activists working to ban the payday advance industry do not represent the vast majority of consumers who work hard to make ends meet. The bottom line is that consumers don’t want others making decisions for them. And they especially don’t like the idea of people (who have probably never been short of cash) dictating where they can or cannot borrow money. If critics are successful in regulating the industry out of business, consumers will be forced to turn to offshore Internet and often unregulated rogue lenders for their short-term credit needs. At the end of the day, consumers win when given a variety of options and trusted to make financial decisions based on what’s best for them and their families.